The engineering complex had been previously reinforced by Northern Coalition. [NC] in order to draw out a fight and was exiting its reinforcement mode. Providence Bloc gathered a 240 pilot Nightmare battleship fleet to defend the structure including a combat carrier wing waiting in reserve. The fleet arrived in the system and set up on the engineering complex waiting for hostiles to engage. Northern Coalition. assembled its own fleet, a 200 pilot Proteus strategic cruiser fleet, and using a wormhole chain traveled to the system. Once in, the fleet warped to another engineering complex on the grid in order to ping off it and warp on top of the Nightmare fleet. The Nightmare fleet attempted to deploy defensive warp disruption probes to prevent it but was too late. The strategic cruisers landed near the battleships and opened fire. The two sides started exchanging fire, the Nightmares trying to pull range and the strategic cruisers chasing them. From the start the Northern Coalition. fleet focused its fire on removing support ships such as Huginn force recon cruisers. These ships usually fitted with stasis webifiers are important in maintaining range control and helping in damage application by reducing the target’s speed. Northern Coalition. got rid of most of the recon squadron and targeted the command ships next. The Nightmare fleet hit back, targeting strategic cruisers and managing to volley the sturdy ships with concentrated tachyon laser fire. In between, the fleet attempted to clear tackle, firing on interdictors and heavy interdictors who kept deploying warp disruption probes and fields around the battleships. Back and forth the exchange went, with the two sides targeting next hostile command ships. The battlecruisers were easily dispatched by the opposing sides, leading to both fleets weakening due to the loss of the ships’ bonuses. After that trade, Northern Coalition. turned its attention to the Nightmares themselves. Having managed to remove the hostile support squadron from the field, the strategic cruisers had little problem keeping pace with the battleships and hammering them as they attempted to draw range. One after another the battleships were destroyed, the strategic cruisers relentlessly blasting them at close range. The Nightmare fleet attempted to return the favor but without the aforementioned recon cruisers, had trouble applying damage to the smaller ships. Instead it focused on removing tackle. As losses mounted, Providence Bloc started bringing in force auxiliaries. Starting with one, by the end of the fight it had brought in four Ninazu force auxiliaries. The ships materialized near the Azbel engineering complex which had exited its reinforcement mode and was slowly but surely repairing itself. The force auxiliaries entered their triage cycles and attempted to bolster the Nightmare fleet’s logistics wing but to no avail. The Proteus fleet was able to push through the shield transfer cycles or simply switch targets. Losing mainline ships and with the force auxiliaries unable to stem the tide, Providence Bloc decided to escalate matters. The coalition brought its combat carriers to the field, jumping in 30 of the ships near the warring fleets. The combat carriers deployed fighter squadrons and sent them off towards the strategic cruisers. The fighters descended upon the ships, tearing a few down before their logistics wing could adequately react. Yet before the combat carriers could decide the battle for Providence Bloc, Pandemic Legion [-10.0] forces entered the system. Pandemic Legion came to reinforce Northern Coalition. and brought a 100 pilot Proteus fleet of its own. The alliance had waited a while before joining the fray, called in by Northern Coalition. fleet commanders when they thought their fleet was not holding. The Pandemic Legion fleet entered the system, smashing a small Caracal cruiser gang which came to the system to possibly act as a third party in the conflict. The cruisers were swiftly cut down by the Proteus fleet which aligned towards the battle and waited for a decent warp in. With a warp in secured, the Pandemic Legion fleet warped in, landing near the Nightmares and opening fire. Seeing this, Providence Bloc forces started to burn away from the hostile Proteus fleets, aiming for the Azbel itself. The engineering complex was almost fully repaired and once it finished would allow Providence Bloc forces to find shelter in its hangars. The Providence Bloc carrier force did the same, aligning towards the structure while attempting to jump out to emergency cynosural beacons as the structure would not allow capital ships to dock with it. Realizing this, Pandemic Legion and Northern Coalition. attempted to snag as many carriers as they could, holding them down with interdictors and strategic cruisers as ships engaged in combat could not tether. All the while the two fleets continued to fire on the battleships. Slowly, the Nightmare fleet managed to reach the Azbel as it entered its regularly scheduled invulnerability cycle. The battleships had stopped firing, trying to clear their combat timers so as to tether and dock. The Proteus fleets took advantage of it and kept shredding Nightmares. The force auxiliaries, most of them out of range of the engineering complex and still in their triage cycles, tried to help as best as they could, slowing and even saving a few of the battleships from the Proteus fleets’ onslaught. In the end, the remaining Providence Bloc forces docked up, leaving the force auxiliaries and combat carriers to attempt to extract as the Proteus fleets converged on them. 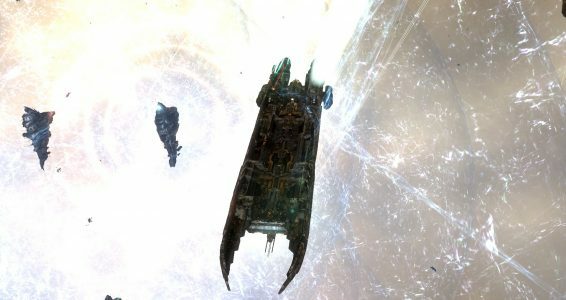 Some of the combat carriers managed to regenerate enough energy to jump out, taking advantage of lulls in the warp disruption probe coverage. Others attempted to burn away from the hostile fleets or tether on the structure itself. However for 11 combat carriers there would be no escape. One after the other the ships were destroyed by the combined firepower of the two Proteus fleets. As carrier after carrier was destroyed, the force auxiliaries which were still stranded on the field managed to re-fit their ships, swapping remote shield transfers for remote armor repairers. With the force auxiliaries repairing them, the remaining combat carriers managed to tank the incoming damage. This forced the attackers to focus their efforts on the force auxiliaries. The ships managed to tank some of the incoming damage but it was only a question of time as each volley ate a tad more armor and hull than the ships could self repair. Finally the Ninazu force auxiliaries were destroyed and the Proteus fleets could concentrate once more on the combat carriers. The remaining combat carriers were quickly dispatched, the only remaining one an Archon combat carrier which managed to burn an impressive 200 kilometers from the melee, attempting to shake off the tacklers which latched on it. The Proteus fleets warped towards the ship, landing near it and finally getting enough stasis webifiers to slow it down while the mainline ships blasted the helpless ship. With the Archon destroyed, Northern Coalition. and Pandemic Legion claimed victory, looting the field before extracting their forces to their respective staging systems. 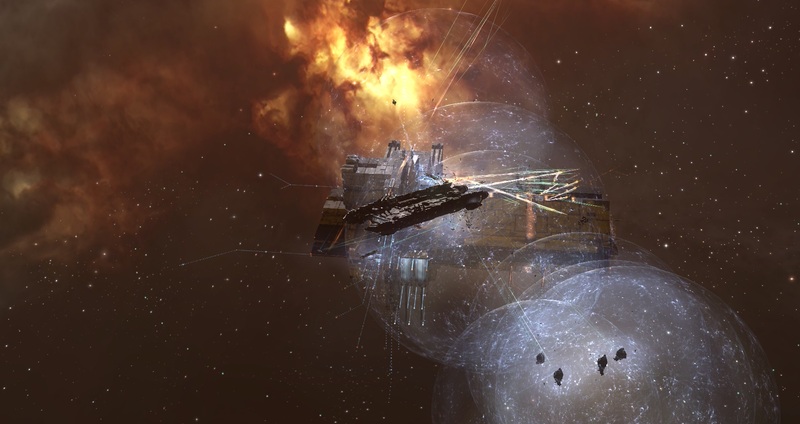 Providence Bloc managed to extract its remaining forces after the two fleets left, having managed to secure the engineering complex but at a high price. This marked the end of hostilities in the system for the night. Battle report for the X6AB-Y system can be found here. All told the battle lasted 48 minutes with Time Dilation impacting the event, rising and subsiding wildly. However for a large part of the fight it remained in the 40% range. The system itself hosted at one point 565 pilots. 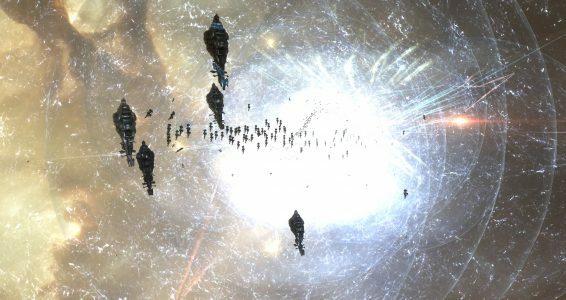 Providence Bloc lost 139 ships in total including 11 combat carriers, 4 force auxiliaries and 69 battleships for a total of 71.04 billion ISK of damage. Pandemic Legion and Northern Coalition. lost 28 ships in total including 6 strategic cruisers for a total of 7.58 billion ISK of damage. Some truly wonderful posts on this internet site, thankyou for contribution. whoah this weblog is excellent i really like studying your articles. Stay up the great work! You realize, many persons are hunting around for this information, you could aid them greatly. hello there and thank you for your information – I’ve certainly picked up anything new from right here. I did however expertise some technical issues using this site, as I experienced to reload the site lots of times previous to I could get it to load correctly. I had been wondering if your hosting is OK? Not that I am complaining, but slow loading instances times will very frequently affect your placement in google and could damage your quality score if ads and marketing with Adwords. Well I’m adding this RSS to my e-mail and can look out for much more of your respective intriguing content. Make sure you update this again soon..
wOe8f7 This is one awesome blog post.Really looking forward to read more. Great. I’ve been browsing on-line greater than three hours these days, but I by no means found any attention-grabbing article like yours. It is pretty price enough for me. Personally, if all webmasters and bloggers made excellent content material as you did, the internet will likely be much more helpful than ever before. “Learn to see in another’s calamity the ills which you should avoid.” by Publilius Syrus.